It is today the eighth generation of vine growers which directs this house founded in 1855.Le vineyard counts 20 ha under reasoned fight. 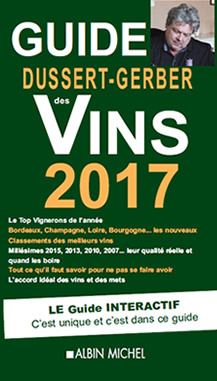 The planted grape varieties are single and atypical for the area of the valley of the Marne: 45% of Chardonnay, 40% of pinot meunier and 15% of pinot noir. The barouche, emblem of the house represented on the label of the vintage Terre d' Emotion, symbolizes the duty to perpetuate know-how and the values received in heritage. The pieces of old vines intended for the development of the vintages Terre d' Émotion, are cultivated in biodynamy. The house proposes to you to discover this Champagne brut Terre d’Émotion rosé, assembly only of old vines with prevailing of Chardonnay, with the subtle aromas of strawberry of wood, quite well-balanced mouth where one finds notes of brioche and almond, a wine as one likes them, frankly, of beautiful color, typified, of abundant foam, very charmer on a white meat with the cream as on a cake with the fruits. Their Champagne Terre d’Émotion blanc de noirs (pinot noir majority, and pinot meunier, resulting from old vines), robust, releases a fruity complex, generous and charmer, a very round but very delicate wine also, of persistent foam. The Terre d' Émotion blanc de blancs (pure Chardonnay compartmental old women vines and wine makings) is of light and intense foam, of powerful mouth, rich in aromas (almond, white flowers…), of beautiful structure. The brut rosé, of round mouth, of a very beautiful expression, developing elegance and vinosity, slightly is with a strong color spiced. You will appreciate also the brut rosé one, all in aromatic persistence (ripe, pink, grooves…) to uncork as well with aperitif as on a roast bass. Beautiful brut Millésime 2006, powerful and delicate at the same time, quite well-balanced in mouth, with persistent floral notes then nuances of quince and fresh almond, full and charmer, a vintage all in aromatic freshness, with fresh fruit notes to the palate. There are also this Champagne brut Tradition, Champagne assembly of three type of vines, with prevailing of pinot meunier, rich and well structured mouth, a nice smoothness, in creamy and distinguished foam, really very pleasant, and brut Terre d' Émotion, of a beautiful color but, with aromas quite present and notes of lime and honey, finely having a nice bouquet and robust, of a great fullness finally. 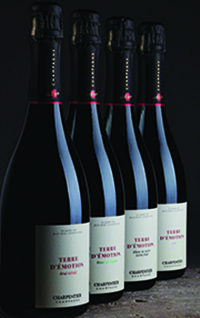 The brut Réserve, assembly of three type of vines with prevailing pinot meunier with wines of reserve in greater proportion, at the same time robust and distinguished, of a beautiful nervousness, of a great elegance, a vintage with the ripe citrus fruits scents and nut, very harmonious in mouth.